Luna Park opened in 1905 as the second in an international chain of amusement parks (all known as Luna Park) opened by Frederick Ingersoll, owner of the Ingersoll Construction Company. 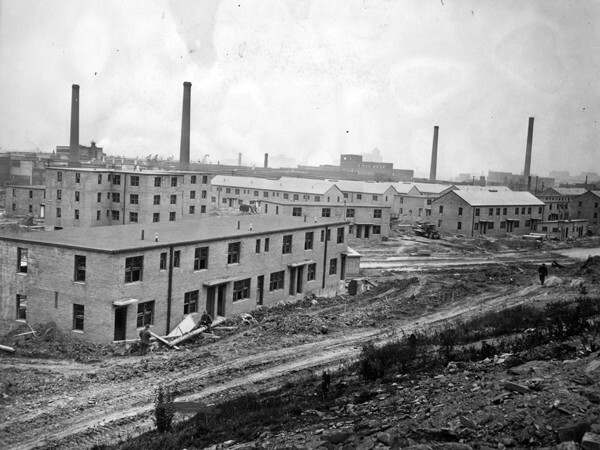 Ingersoll's company got its start building vending machines, roller coasters, and other amusement park rides. By 1901, however, the company had started building entire amusement parks as well. 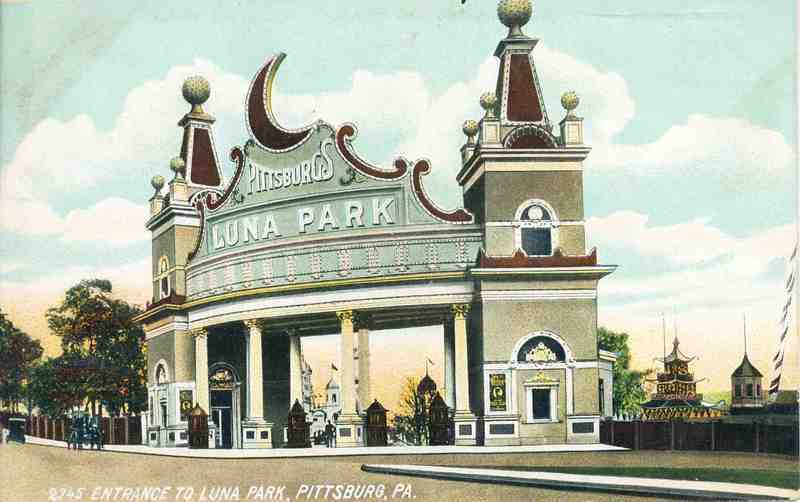 The two first Luna Parks opened in Cleveland and Pittsburgh in 1905. 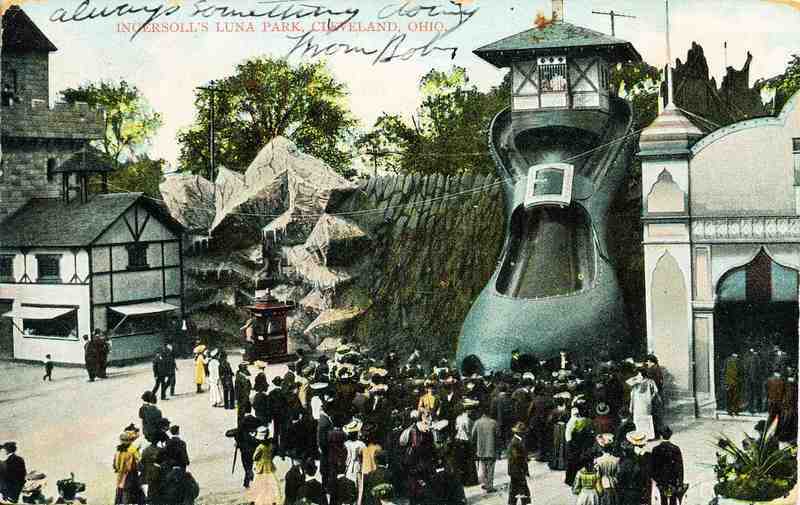 At its peak, Ingersoll's company ran over 40 amusement parks across the country and in such exotic locales as Mexico City and Berlin, Germany. 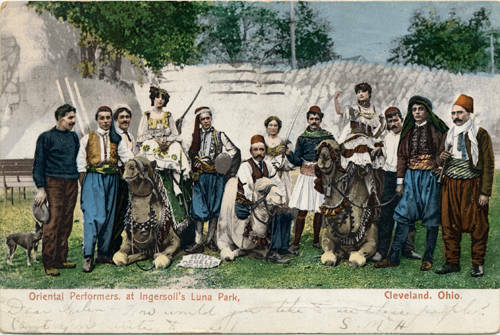 Luna Park was Euclid Beach Park's most significant competition throughout the early part of the 1900s. 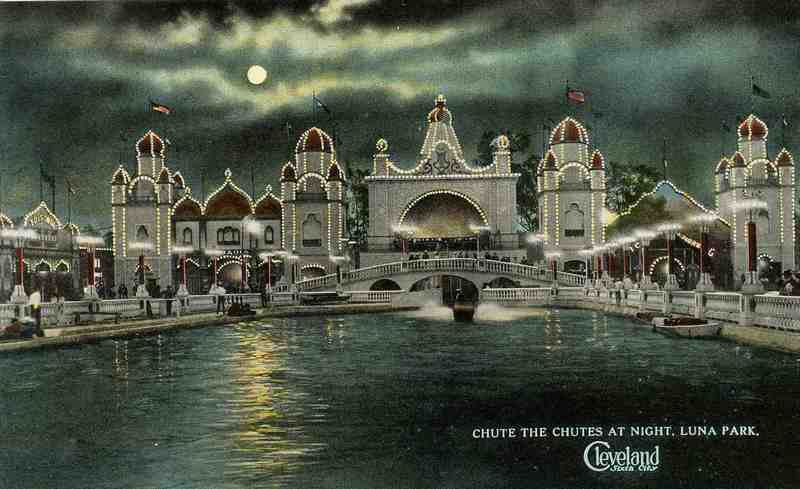 Unlike Euclid Beach Park, however, Luna Park charged admission at its gates and sold alcohol to its guests. 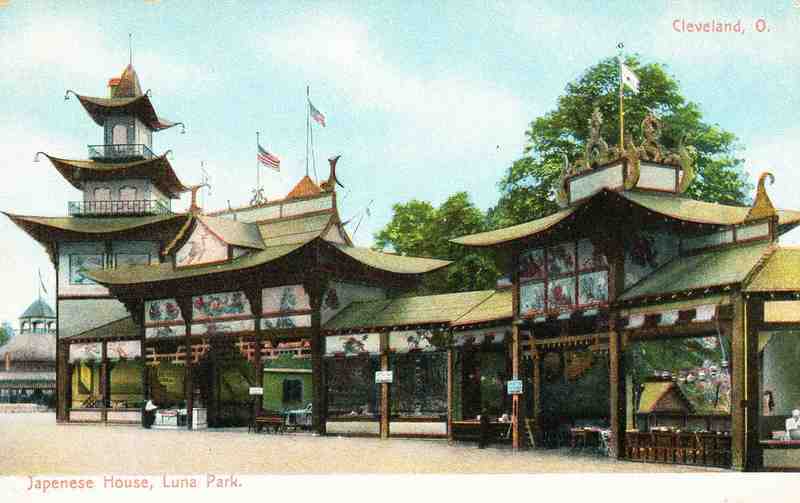 Portions of the park were copied from the Luna Park (unaffiliated with Ingersoll's parks of the same name) in New York City's Coney Island. 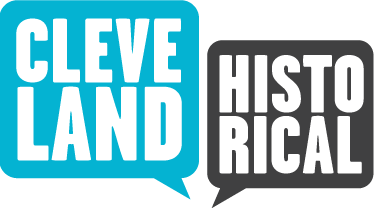 The park covered 35 acres of hilly ground in Cleveland's Woodland Hills neighborhood. In order to reach the entrance gates of Luna Park, patrons had to climb a steep flight of stairs. Later, an escalator was installed. Once inside, the park had a number of popular attractions, including a carousel, a ferris wheel, roller coasters, a funhouse, a dance hall, and a roller skating rink. 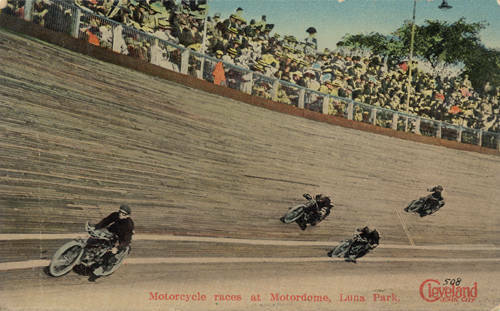 The Luna Bowl, a 20,000 seat stadium on the park's grounds, played host to a number of sporting events and was home to two of Cleveland's earliest professional football teams in the 1920s: the Cleveland Bulldogs and the Cleveland Panthers. Luna Park lost much of its popularity in the 1920s. Alcohol Prohibition during this time seriously hurt the beer-serving park (Euclid Beach was alcohol free throughout its history). The Great Depression led to a further decline in attendance, and most of the park was demolished in 1931. By 1940, Luna Park had been replaced by the Woodhill Homes housing project. 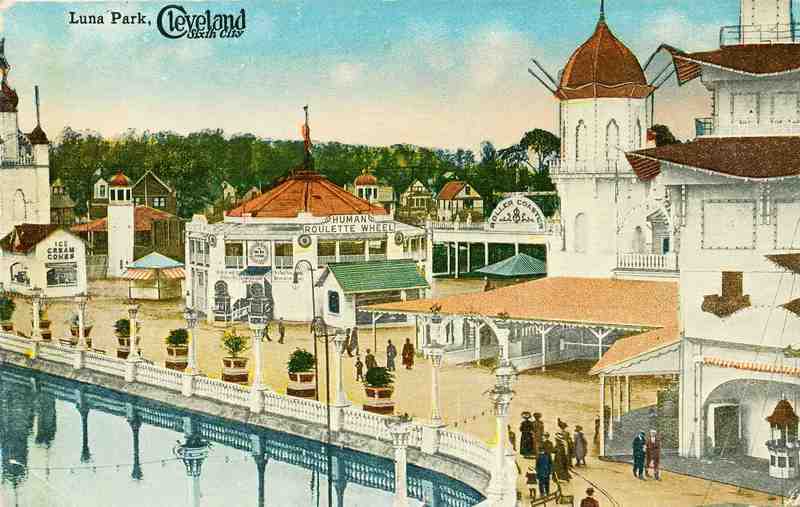 “Luna Park,” Cleveland Historical, accessed April 23, 2019, https://clevelandhistorical.org/items/show/259. Published on Jul 17, 2011. Last updated on Apr 18, 2017.